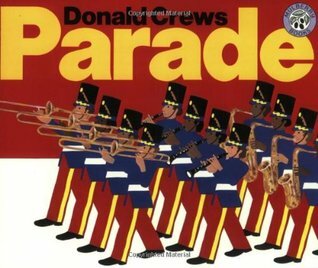 Donald Crews, the king of picture books, was born in 1938 in New Jersey. After attending art school and getting married, he was drafted into the army and wrote his first picture book while on deployment in Germany in 1963 for his baby daughter. Donald Crews is the author of two of our most favorite children’s picture books: Freight Train, and Parade, but he wrote so many, many others! Long before my children could read, I read these picture books to my kiddos every day. And by every day, I mean literally not a day went by that one of them did not toddle up with our board book copy of Freight Train and ask to sit in my lap and have me read. The stories are carried by the pictures almost exclusively in Donald Crews’ books. There is so much going on in each page that children will love to look at the bright colorful pages again and again. It is so very easy to get lost in a picture book with a child, and so much fun! So give Donald Crews a try in your homeschool! AND NOW, THE LINK PARTY! Write a blog post and then hop over to the linkup and add your post! Grab a blog button for your post. 3. Take some time to read the other great posts if you have the time and spread some encouragement and appreciation with a comment or two! Together we can help each other increase our traffic, read some interesting tips and ideas, and spread some good cheer that will help us start off our weekend! I HOPE TO SEE YOUR POST NEXT WEEK AS TACKLE THIS FUN CHALLENGE WITH THE LETTER. . . D! These are great little books! These sound like great books for little ones!